Natural Pest Control isn’t always easy and we often go to the chemicals because we don’t know where else to turn. But there ARE home remedies for pest control that aren’t harmful to us or our kids and pets. It’s also kind of nice not to kill off all the insects that may actually be beneficial to something outside. Insects are gross. Do we agree on that? While we don’t want them in our homes, it doesn’t mean we have to resort to chemicals to get rid of them. There are plenty of natural pest control methods to keep insects managed and it’s so much better for your health. Humans regard certain insects as pests and attempt to control them using insecticides and a host of other techniques. While there are some insects that provide benefits to the environment, that doesn’t mean we want them around our home, especially inside! We can encourage them to leave us alone without disturbing the ecosystem. According to the National Resources Defense Council (NRDC), chemicals [in pesticides] can trigger everything from nausea, vomiting, and headaches to more serious health concerns, such as lung damage, reproductive problems, and cancer. Pesticides are especially hazardous to children, who spend more time closer to the ground where these chemicals are often applied. Kids are also less resilient to these toxic chemicals than adults, and their developing brains are more susceptible to neurological problems and learning disabilities caused by exposure. So how to we protect our kids and pets who like to roll around on the grass? Use these natural pest control options to keep those creepy crawlies away and know that your loved ones are safe. It’s that time of year again when the doggies are begging to be outside for hours at a time and coming in with ticks on them. Try this natural pest control Tea Tree Oil Dog Spray Recipe for Fleas and Ticks and keep the bugs at bay. Ticks are probably one of the grossest bugs since they attach and bite and then can leave behind lyme disease. Find out how to remove a tick properly and treat the area afterward using natural pest control. 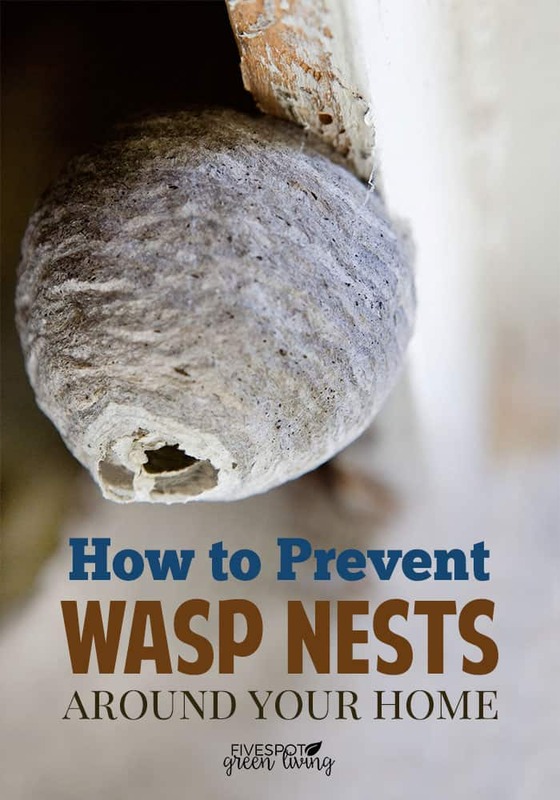 How to Prevent Wasp Nests Around Your Home – If you can actually prevent the wasps from building the nests in the first place, then you have less to worry about. It’s always gross to see ants in your home. And not only are they unwelcome sights, but they can also damage your food, your home’s structure, or they can even bite you! Let’s figure out How to Keep Ants Out of the House. Do you know How to Get Rid of Wasp Nest? It is advisable to learn how to do it properly so you don’t end up with multiple painful wasp stings! Here are some Home Remedies for Wasp Stings that you can use in the case that you do get stung. Learn how to keep cats out of your garden with these Best Cat Repellent Plants and Natural Deterrents for Your Garden. Ladybugs can be difficult to remove and can be quite a nuisance if they fly around – learn How to Get Rid of Ladybugs Naturally. How to Get Rid of Stink Bugs Naturally – You have to be very careful to get rid of them or your house can end up smelling like, well, stink. Fruit flies are the pest that just seem to multiply so quickly, that if you delay in taking steps to Get Rid of Fruit Flies Naturally, they will overcome your house in a matter of days. Natural Tick Repellent for Cats and Dogs that really works! Natural and organic pest solutions give you the same control over many pests as more powerful chemical products. 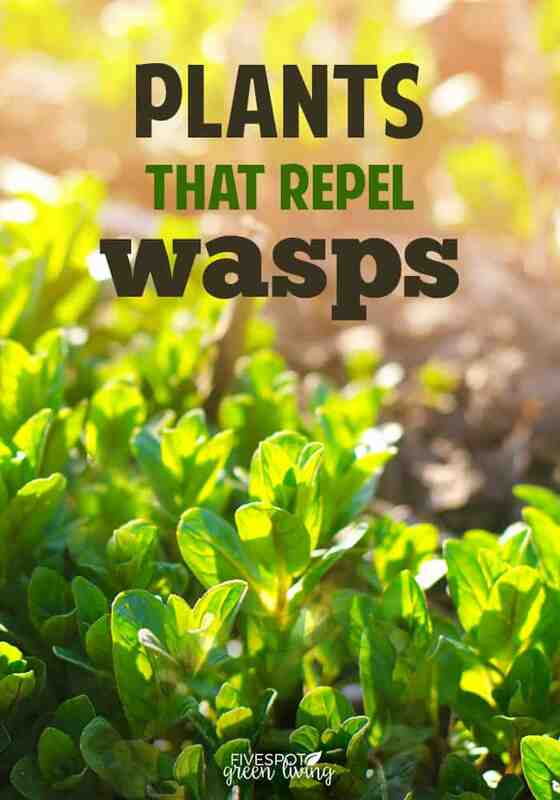 Here are The Best Wasp Deterrent Plants are to include in our landscaping that look nice and also keep those nasty wasps away without toxic chemicals. Here is an effective homemade Natural Tick Repellent Tea Tree Oil recipe for humans while outside in areas that harbor ticks and fleas. 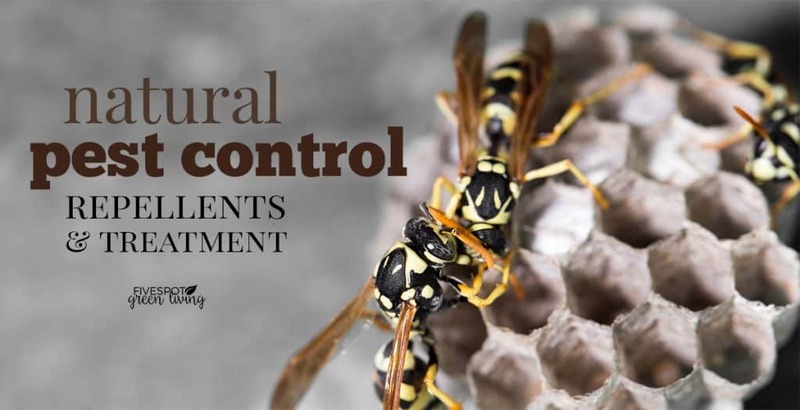 This Essential Oil Wasp Repellent Recipe was proven to work in a Pest Management Science study through the National Center for Biotechnology Information. Mosquitoes are not only annoying insects that buzz around your ears and bite you, but they are also known carriers of deadly viruses that can kill a person. These DIY Homemade Moquito Traps are too easy to try. “People have a knee-jerk reaction and think, ‘I need poison now! '” says Miriam Rotkin-Ellman, a senior scientist in NRDC’s Health program. By depending on Eco-Friendly Home Pest Control with Essential Oils you’ll no longer have to worry about your family, pet and the environment being at risk to harmful chemicals. 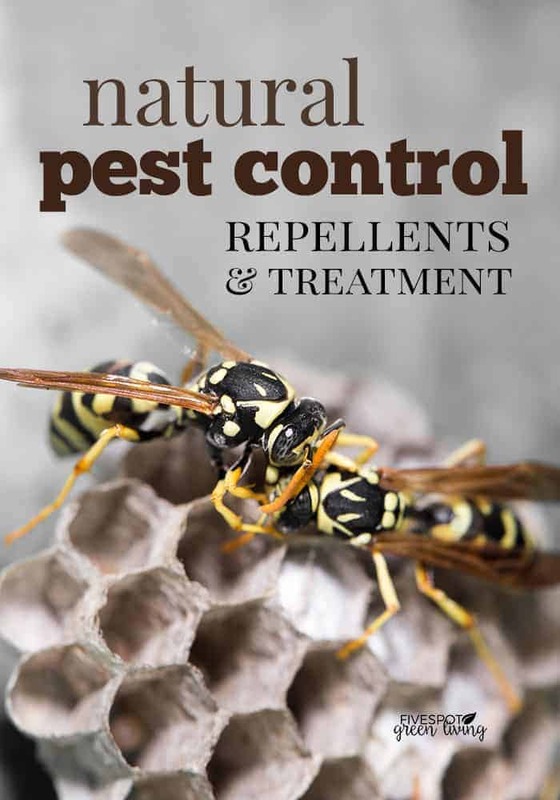 Make sure you know How to Get Rid of Wasps and Hornets Without Chemicals BEFORE they bother you! Brew Your Own Homemade Pesticide Spray is actually pretty effective in eradicating pests around the house and so much safer for pets and kids. Silverfish are pests that come out at night and many people don’t know they have an infestation until there is a lot of damage. Learn how to prevent and get rid of silverfish with natural pest control! There are some easy ways to Get Rid of Pantry Bugs. Have you ever had pantry bugs or just want to keep them away with natural pest control? Try these all natural pantry bug repellents to make sure you don’t end up with bugs in your grains.